Our Quality Systems is UNI EN 9100 and UNI EN ISO 9001 certified. It consists of a full week of events, including technical paper presentations, workshops, and tutorials, as well as numerous social events and networking opportunities. The symposium also hosts a large commercial exhibition. Co-located with IMS are the IEEE RFIC and ARFTG conferences. European Microwave Week 2019 takes place at the heart of the ville lumiere, Paris! Bringing industry and academia together, European Microwave Week 2019 is a SIX day event, including THREE cutting edge conferences and ONE exciting trade and technology exhibition featuring leading players from across the globe. EuMW 2019 provides access to the very latest products, research and initiatives in the microwave sector. 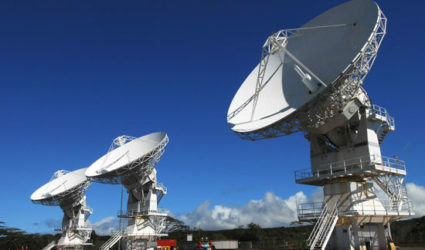 It also offers you the opportunity for face-to-face interaction with those driving the future of microwave technology. The International Radar Symposium India 2019 (IRSI-19), the 12th in the series, being jointly organized by IEEE Bangalore Section, IET Bangalore Network, IETE Bangalore Centre and Society of Electronic Engineers (SEE), co-sponsored by Bharat Electronics (BEL), Defence Research & Development Organisation (DRDO), Hindustan Aeronautics Ltd (HAL) and Indian Space Research Organisation (ISRO) is scheduled for 10-14 Dec 2019. First IRSI was conducted in 1983 and was revived in 1999 as a biennial series. 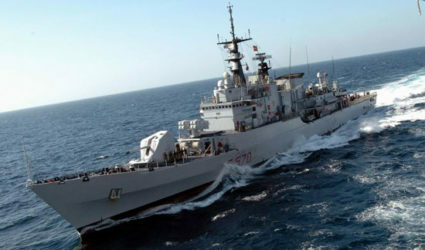 The response and success of the previous events, which set several benchmarks, are remembered by all participants. IRSI has grown from strength to strength over the years and the current edition is poised to scale new heights with enhanced international participation. 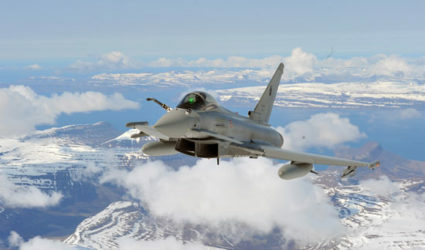 The large scale Radar India Exhibitions with provision for more than 100 exhibition stalls will be an added attraction. Live Demos are also being organised. L’iniziativa è nata dalle sollecitazioni ricevute una serie di aziende che operano nel settore, finalizzate ad attivare azioni specifiche per promuovere le immatricolazioni a Ingegneria delle Telecomunicazioni. L’importanza strategica del settore delle telecomunicazioni, che continua a essere trainante per l’economia nazionale e internazionale, sta rendendo sempre più forte ed urgente la necessità di incoraggiare i giovani a intraprendere i loro studi in quest’area dell’ingegneria. La mancanza di figure adeguatamente preparate su queste tematiche potrebbe infatti mettere a rischio lo sviluppo di questo ambito tecnologico. “Questa iniziativa costituisce di fatto un primo importante passo verso la definizione di un nuovo modello di relazioni tra università e aziende che operano nel campo delle tecnologie dell’informazione e delle telecomunicazioni (Information and Communication Technologies, ICT). Desidero perciò ringraziare tutte le Società – ha dichiarato il presidente del corso di studio, professor Giuliano Manara – che hanno reso possibile questa iniziativa a favore non solo del nostro settore, ma anche del diritto allo studio. Queste borse aprono la strada ad un’armoniosa e proficua collaborazione con le aziende, sia nell’interesse dell’industria, che della comunità scientifica e di quella studentesca, che nell’immediato futuro auspico possa crescere sempre di più”. 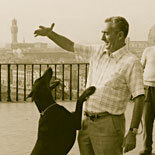 The company, created by Remo Pasquali in 1958, celebrates in 2018 the 60th anniversary of its foundation. 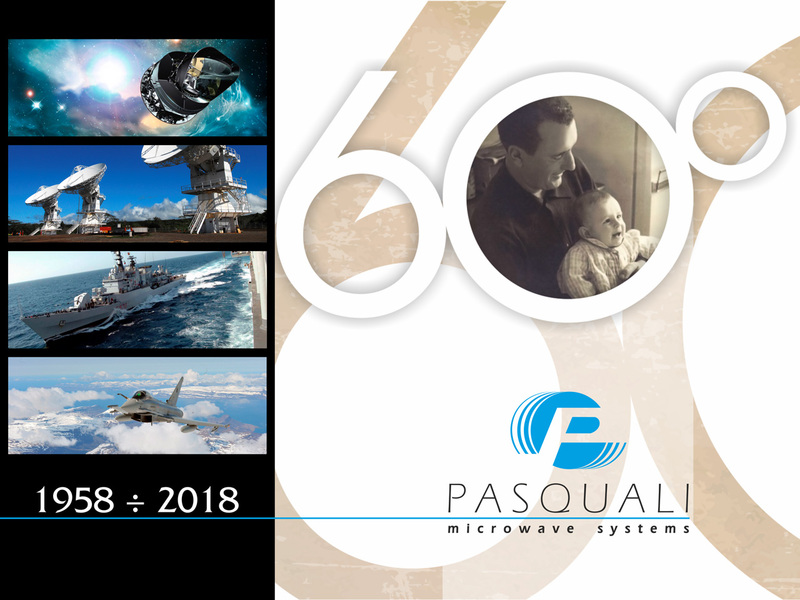 In occasion of this meaningful anniversary, appreciation is offered to all employees and partners of Pasquali Microwave Systems for their commitment and reliability and for the many efforts made in the years, always of tenacious work. 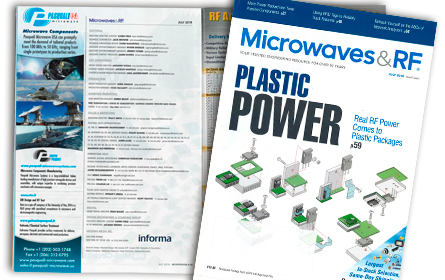 Pasquali Microwave Systems Catalog 01/2019 ed. 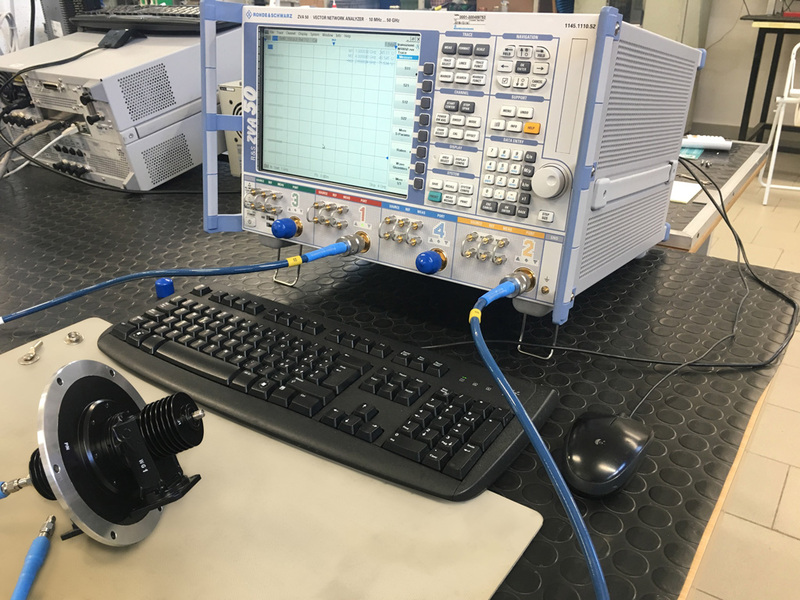 NETWORK ANALYZER: The ZVA 50 VNA 4 PORTS Vector Network Analyzer provides the comprehensive measurement capability frequency up to 50 GHz. 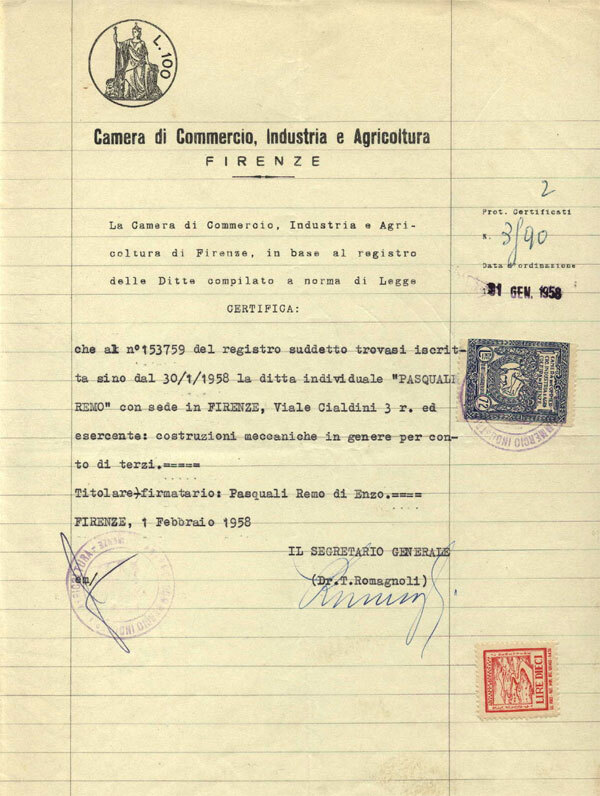 Pasquali Microwave Systems is an Italian company located in Florence that has been operating since 1958 in precision mechanical machining for the production of waveguide devices and assemblies. 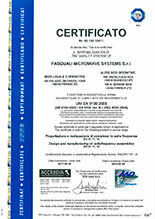 Thanks to the know-how acquired in the years, at our days Pasquali Microwave Systems manufactures microwave components and assemblies for application in systems of high precision and great reliability such as civil and military radars and, more in general, for applications in space, telecommunications and security sectors. Great flexibility and high quality, deriving from 50 years’ experience and very qualified personnel, are the main characteristics of Pasquali Microwave Systems. 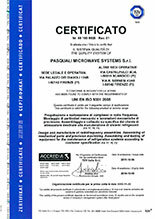 The continuous improvement of quality standards and the advancement of technological processes allow Pasquali Microwave Systems to offer high specialized activities of outstanding technical value to a market that is growing and growing, always according to national and international standards for commercial applications and to MIL standards for products created for defence applications. 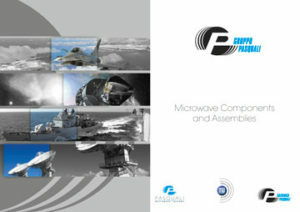 That is why worldwide leader companies in the industry of defence, aerospace and telecommunications systems are among Pasquali Microwave Systems’ customers. 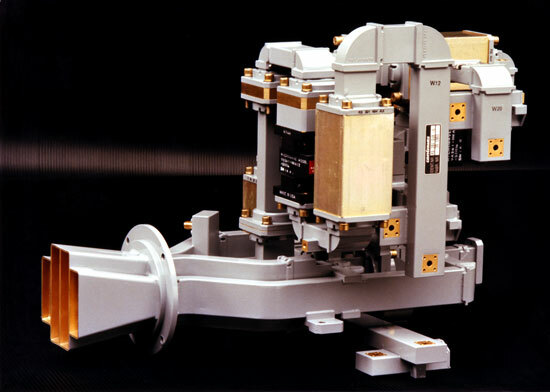 The Micro Wave Imager (MWI) Instrument is part of the payload complement of the MetOp-SG Satellites type B.
MWI is a conical scanning radiometer, with multiple frequency channels covering the frequency range from 18.7 GHz to 183.3 GHz in horizontal and vertical polarization (see Figure). 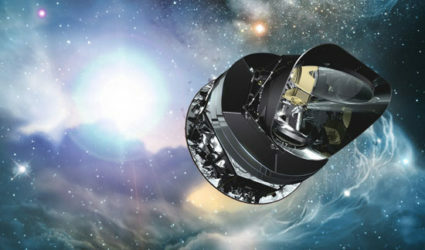 The instrument rotates at constant speed, and collects the microwave radiation from the Earth surface and atmosphere at several IFOV positions at each rotation, in an angular sector of ±65 degrees. At each rotation of the instrument, a line of the microwave-image is formed. 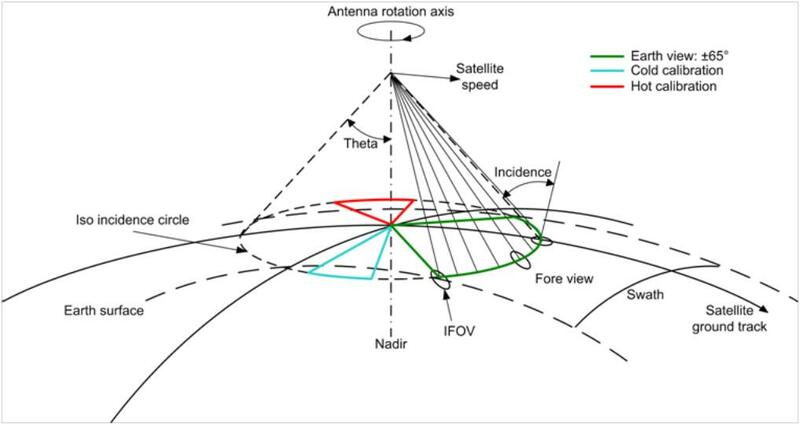 As the satellite moves forward along the orbit, the on-ground track of the scanning, the image of the atmosphere is formed by the succeeding IFOV lines.